Home Article Critical Thinking How To How To Test Quality Software Testing Thinking Tester Tutorial Usability How to Test a coffee/espresso maker? How to Test a coffee/espresso maker? Caution:1. If you are not a caffeine addict yet, don’t jump in and start drinking coffee because of this post! You might be surprised to know that I don’t drink coffee myself! The intention of this post is to try and use tester’s mentality to test some appliances of our day-to-day usage. When I was looking for such a test object, my eyes caught the Espresso machine next to my cubicle. The next moment I had my test object to start testing (generating test ideas)! Note: As usual, few context-based questions popped in my mind while trying to generate some test ideas to test a coffeemaker. a) What kind of machine is it? 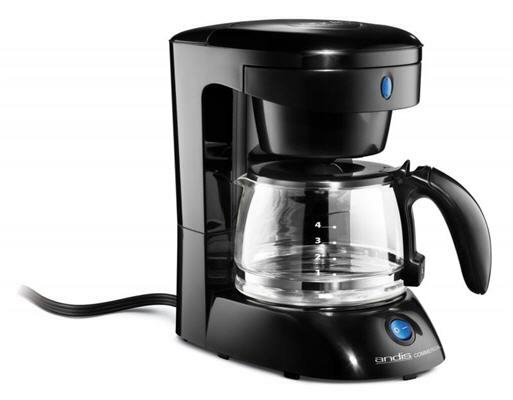 Is it a drip coffeemaker or a percolating coffeemaker? b) What is the tank capacity (in terms of liters) of the coffeemaker? c) What is the pump pressure (e.g. 15 atm, 20 atm etc)? d) What kind of method does the machine use? Steam method, Pump method or Piston Style method? e) What is the Max electric power consumption (800W, 900W, 1100W, 1500W, etc)? f) What is the power supply (120V, 220V etc)? Here I am assuming that we are going to test a drip coffeemaker (that drip hot water once through the coffee grounds) that uses boiling water pump method to operate! 5. Test if the heating element stops heating once the electrical power to the machine is turned off (either by unplugging the cable or by switching OFF the power switch on the control panel). 16. Test if when you turn on the switch, the heating element starts heating the aluminum/stainless steel made boiling chamber, and eventually the water in the tube boils. 17. Test if the boiling water rises in the pipe into the coffee chamber due to vacuum pressure and finally drips into the coffee chamber! 18. Test if the pressure with which water is pumped into the coffee chamber is sufficient enough to brew a nice cup of foaming coffee! 19. Test if coffee is actually delivered when the appropriate button is pressed! 20. Test if desired quantity of coffee is delivered when requested! 21. Test the variation in taste when different dose/variety of coffee is selected. 22. Test if appropriate amount of milk is mixed before the coffee is served. 23. Test if milk is still mixed when NO MILK option is selected. 24. Test if preset amount of sugar is actually served with a cup of coffee. 1. How to Test a microwave oven? 2. How to Test a mosquito repellent? 3. How to Test a water bottle? 4. How to Test a pen?